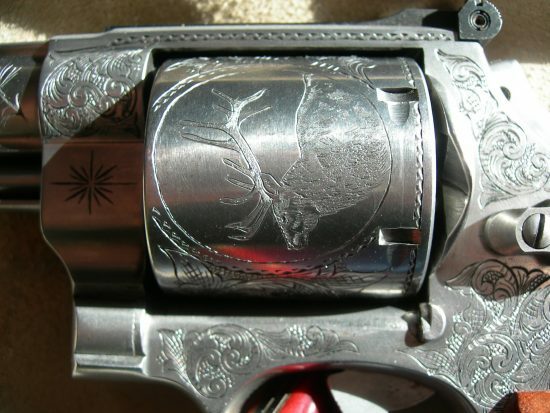 Smith & Wesson .44 Magnum engraved in American Scroll style with bear on cylinder and elk on opposite side of cylinder. This is ~50% coverage with animal portraits. 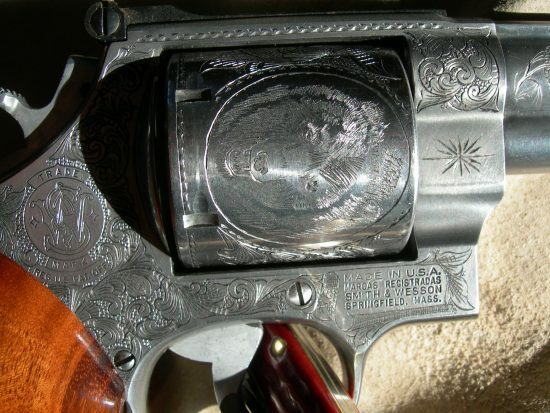 A basic cost for something similar would be about $700. Contact me today for detailed pricing.